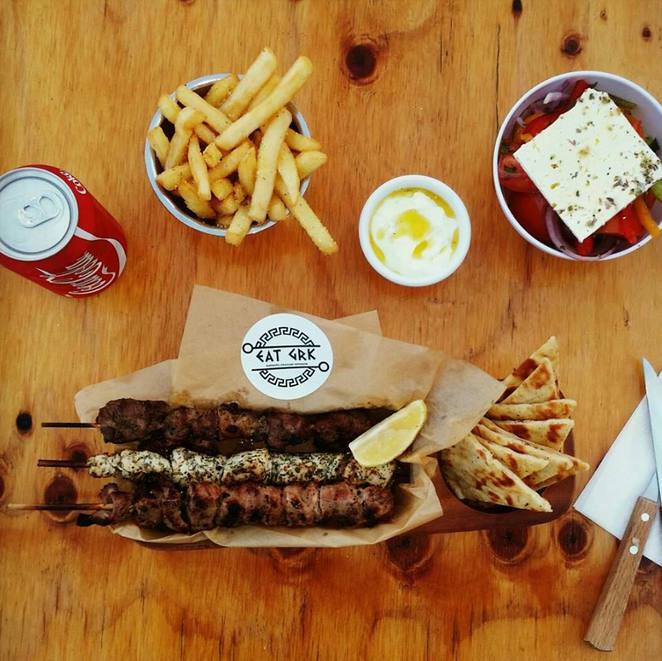 One of the latest culinary trends to take over Sydney is Greek food. 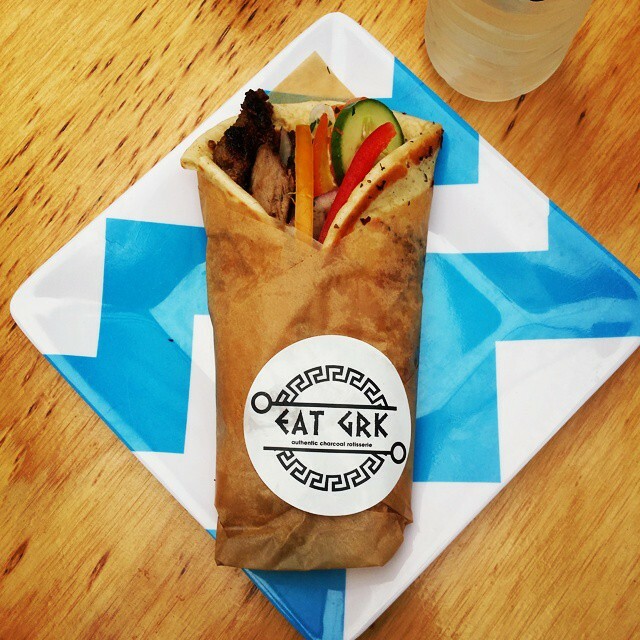 Sure, we've been attune to a baklava and even a great gyro at the local shopping centre, but what Eat Grk brings from Greece is so much more. Prepare to leave the Sydney suburb of Beverly Hills and be transported to a sunny Greek paradise. 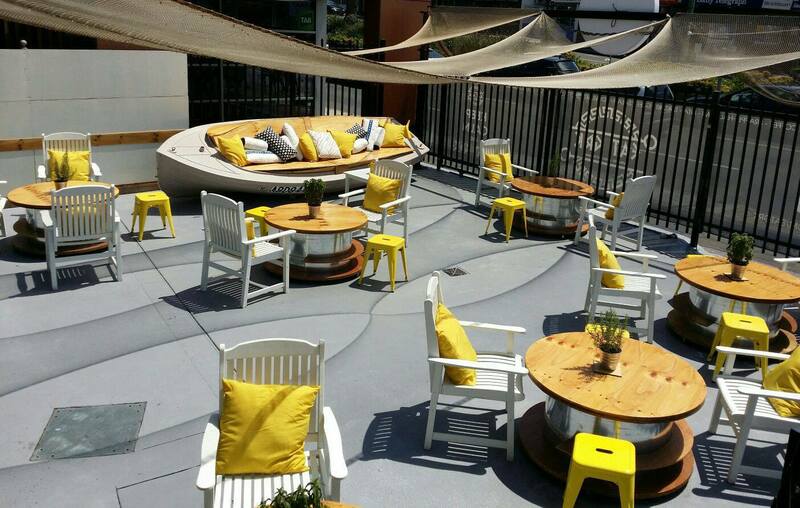 The eat in or takeaway eatery has a modern and chic feel with an outdoor dining area that is perfect for parents with young kids as the place is fenced off from any dangerous traffic. The food is simply delectable, your mouth waters at the sight of the freshly made salads, the meats cooking on the rotisserie and of course the to-die-for feta cheese chips. Portion-sizes are man-sized and every morsel of food served is fresh and made to order. The pita bread and dips make for an incredible starter or snack and you'll be lining up for more as soon as you clean the plates of dip with pita. The souvlaki plate gives you a taste of three types of meat hot off the barbie with a delicious greek salad, pita and tzatziki, a small chips with the option of a feta topping and a drink. Are you drooling yet? The pita wrap meals are also so amazing. 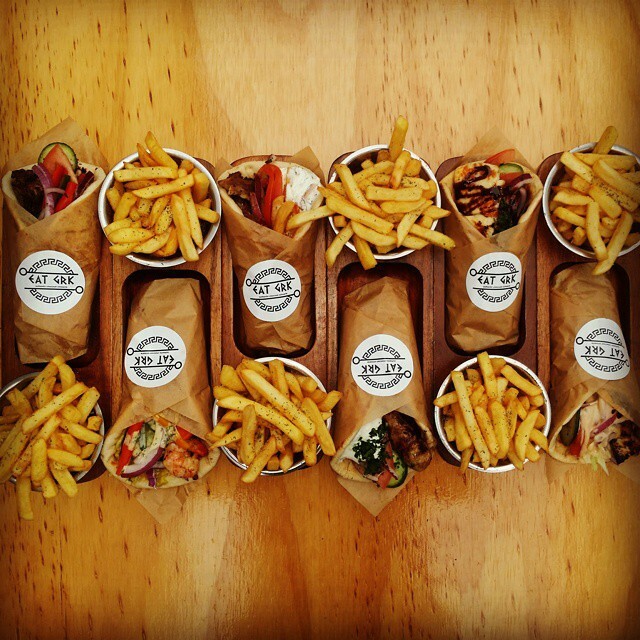 A pita wrap with the meat of your choice fresh off the rotisserie or BBQ with a chip filling along with salad and sauce. Meze plates are a great way to taste bits and pieces or to add to your meal as a share plate, but be careful, you may be fighting for who gets the last piece of grilled haloumi cheese. If you're after something a little bit more than just the plain old boring hot chips, then add the crumbled feta topping. It is such a delicious take on a classic. Lightly seasoned and with just the right amount of salt from the feta, this squashes any hot chips you've had before. Try it or die wondering. Eat Grk has well and truly brought up the standards of dining on the popular restaurant strip on King Georges Road of Beverly Hills.